A shortage of forks. A disco ball in the living room. Pretzels under the couch. A bunch of city kids waiting for their ride, a huge van, to be coddled and coaxed into leaving our mushy driveway. These are a few of the hospitable snippets that made up our holiday season. Holidays, literally holy days, are a great time to open wide our doors and welcome others in. Even our now mostly secularized calendar holidays hint at ideas rooted in worship: Thanksgiving, Remembrance Day, Christ-Mass. To be holy is to be set apart, and holidays offer space to step aside and re-calibrate. Here in our house, holidays present a chance to search our hearts with the two-fold question of purpose: How can we re-orient ourselves to Christ, in this “time off” from regular tasks and pacing? And how can we invite others in to know him?House – host – hospitality – hospital – these linguistic connections remind us that hospitality is healing, is caring, is sharing ourselves and our space, and is rooted in Jesus. Since the time of Moses, God's people have been invited, commanded, and reminded to take time off for these reasons. The story of Exodus lays it out unequivocally. Moses' first and repeated message to Pharaoh was, “Thus says the LORD, the God of Israel, 'Let my people go, that they may hold a feast to me in the wilderness'” (Ex. 5:1). Talk about a holiday! After God accomplished this miraculous and sobering rescue, the Israelites were entrusted with the responsibility and the freedom of taking “time off” at least three times a year, in the celebrations of Passover, the Feast of Weeks, and the Feast of Booths (cf. Deut. 16). And what exactly did these holidays involve? Beyond ceremonial observances and specific acts of worship, there was presumably a lot of fun! Travel. Teamwork. Time with friends and family. Heaps of good food. Spiritual refreshment. And sometimes, camping :). All of these experiences were meant to remind God's people, year after year, of his rescue, his provision, his power, his faithful and unfailing covenant love. As believers welcomed into the new covenant, the ways we can commemorate and celebrate God's goodness are limitless, and not tied to our calendars. But as Camp Managers, we can't help picking up on the themes expressed in those old covenant festivals in the way we view summer camp. 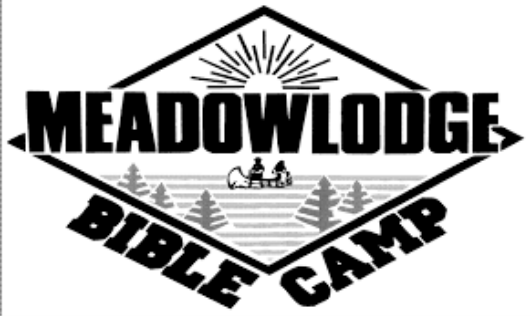 Camp is a beautiful opportunity to approach “holidays” with those two eternally-minded questions in view: How can we re-orient ourselves to the Lord Jesus in this “time off”?And How can we invite others in to know him? Jesus is the ultimate good host. By inviting us into his life and promising us a home in heaven, He offers his healing and hope. And anytime we as his people engage in purposeful hospitality, there is so much of his goodness to be shared! The refreshment of this little corner of his created world, the deeper refreshment of his Living Word, the fellowship of his Holy Spirit and his people... and all the ordinary things that overflow with his life when offered up to him: things like travel, teamwork, time with friends and family, heaps of good food... and fun! Ironically enough, camp season itself isn't a great time for reflection! Josh and I have found that here, in November, we've finally slowed down enough to distill some thoughts for you... with warm, Christ-kindled prayers of thanks for YOUR prayers and encouragement. I will append a prayer reflection below, but we have had a few people ask how to pray now, in the "off" season. Good question. -What a whirlwind of a fantastic summer! 470 campers, 100+ volunteers, all connected in Him. -New believers, and with that, prayer for protection and encouragement. -Joy and growth in more family time now, both work and play. -Please pray that Josh will be able to finish his carpentry ticket. He's currently first on the waiting list for the 4th year session this January. -Pray for wisdom in planning and task management. There's plenty to do ;). -Pray that God's vision for MBC will inspire us as we grow forward. We're full of ideas, and lots of other people are too; but we seek His character, will, and timing in everything. Our words, our memories fall short. Who do we say You are? “Oh.” And off she trundles to play in the sandbox. Jesus puts it like this, in John 15: “Every branch that bears fruit, [my Father] prunes, that it may bear more fruit.... I am the vine; you are the branches.” There's no room for quibbling here, about Who is in charge, or How. The Father is the master pruner; Jesus is the source of life. “Abide in me,” He says, “for apart from me you can do nothing” (italics added). Outside Cabin 1, a tangle of at least five different woodsy species flicker green flames of leaves like praise. Slender hazelnut, bracted honeysuckle, prickly rose, red-osier dogwood, and leaning, greening raspberry canes are all under-girded by an aged poplar stump. Pruning this living puzzle is an exercise in flexibility and patience, like stepping right inside a giant knot that needs untangling. As people of God, we're not so very different. At camp, we live and serve together. We grow and undergo pruning together, sometimes in very close quarters, just like the thicket outside Cabin 1. Our Lord is firm and faithful in pruning us back. There are many tasks at hand and many relationships to nurture, so the call for us in this season is to remain in Him daily, to sustain the focus that brings His fruit, in His time. Thank you for your prayers to that end! ​Please continue to pray for volunteers who are rooted in Christ. Pray for responsive hearts to the Father's pruning, as evidenced in the fruits of the Holy Spirit (Galatians 5:22-23). Pray for new grafts in! For new believers to accept Christ's life with joy. Jesus goes on, in John 15, to talk about love and obedience. We know He really means it, because He's headed for the cross. And we know that tree yields fruit unspeakably sweet, and for eternity.